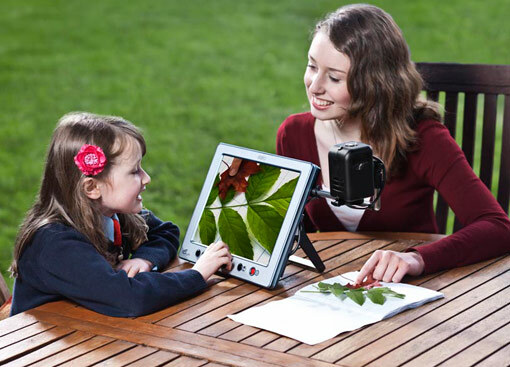 The Liberty Scholar 2 has a 12" TFT display perfectly complimented by an integrated camera. 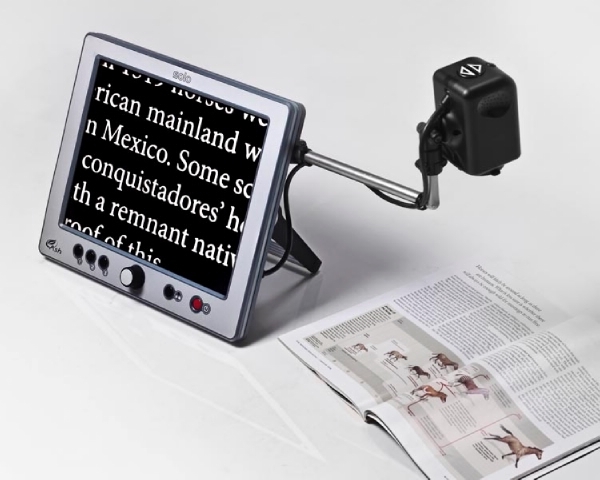 This integrated camera is used for reading text and can also be used for distance viewing. 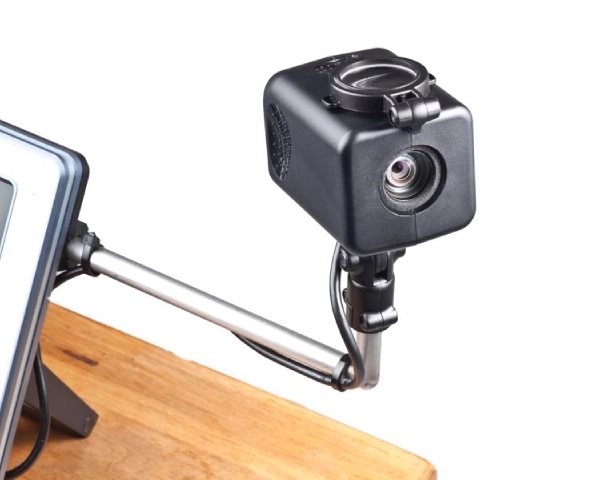 It is compact, lightweight design means it takes up minimum space and is portable. Rechargeable batteries give you the flexibility to use the system where you have no access to a power outlet. 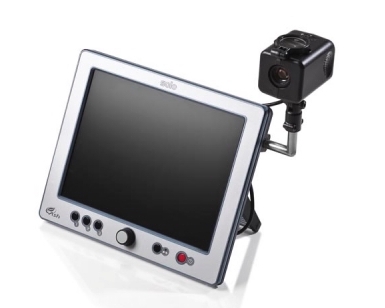 Screen: 12" (305 mm) colour TFT LCD display. Magnification: Normal View: 1.5X - 50X. Distance Camera: 10X optical zoom range. Modes: Full colour. Enhanced black on white and white on black (positive or negative) Full range of semi colours. Weight display unit: 3kg (6.6lbs). Unit size: 300 x 250 x 60mm (2.4 x 9.8 x 11.8in). Power: Worldwide power supply and rechargeable Li-ion battery. Typically 5.5 hours continuous use. Charge time with supplied fast charger: 3 hours. Looking at a white board. 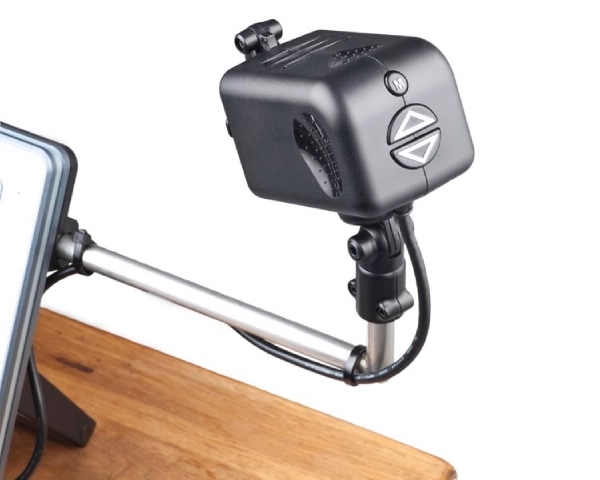 Distance magnification on the go.